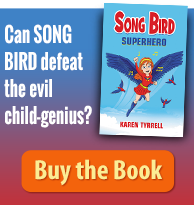 BLAST off to the book launch of Jo-Kin Battles the It (Super Space Kids Series book #1) as children’s author Karen Tyrrell pilots her first exciting and hilarious space adventure. Goof ball Josh Atkins aka Jo-Kin wins the Super Space Kid contest alongside super nerd Sam Jones aka Sam-Wich. Their first Super Space Kid mission is to save the galaxy from a deadly alien, called the It. When the It kidnaps Captain Astra, it’s a frantic race against time. Can Josh save Astra, the galaxy and us all … before the galaxy implodes? 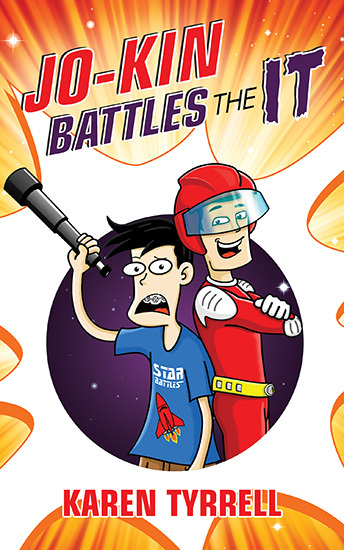 Blast off with Jo-Kin in this hilarious space adventure to empower kids with resilience, team building and brain power skills. 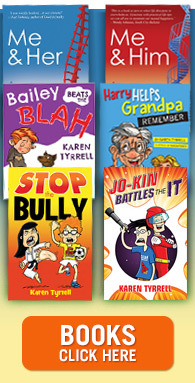 Karen Tyrrell will present an interactive story telling session with interviews and skits PLUS prizes, surprises and out-of-this-world FUN. Trevor Salter, cartoonist and illustrator makes a guest appearance sharing his secrets on drawing Josh, monsters, robots and the rest of the super space kids. Master of Ceremonies, author Charmaine Clancy will beam down from outer space especially to host this book launch. Charmaine is the director of Rainforest Writer’s Retreat and author of My Zombie Dog. Come dressed as your favourite space super hero, robot or alien monster. Start digging through your dress-up box for a cape & mask, a helmet & boots OR a pair of antennas. PRIZES: for the best and most original space super hero, robot or alien monster. FREE: Zoom over for Crafty activities for kids to enjoy plus surprises galore. WHERE: Sky-rocket to Logan North Library. 2-6 Sports Drive, Underwood … it’s in a galaxy near you! 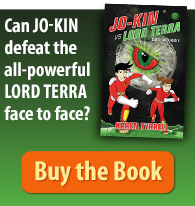 Help launch Jo-Kin Battles the It into the cosmos! Are you joining me for intergalactic FUN on October 10? Oh Karen, you have outdone yourself this time. Little Vaughan and Michelle are so excited, they want to dress as space pirates, so it will be quite a sight. Can’t wait to see you and watch the pantomime!